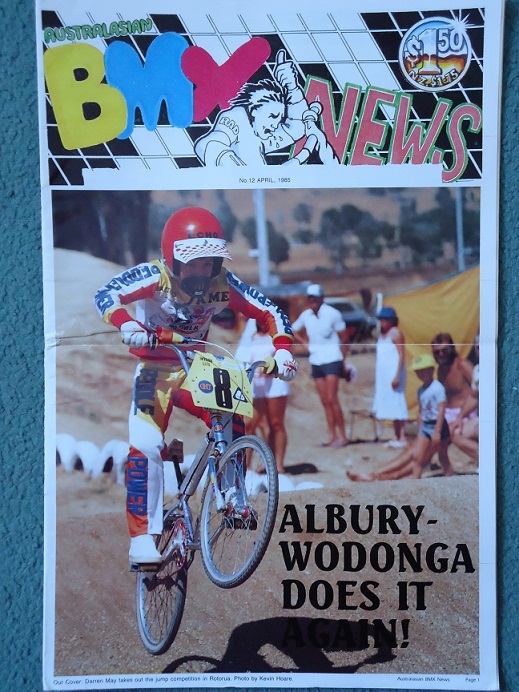 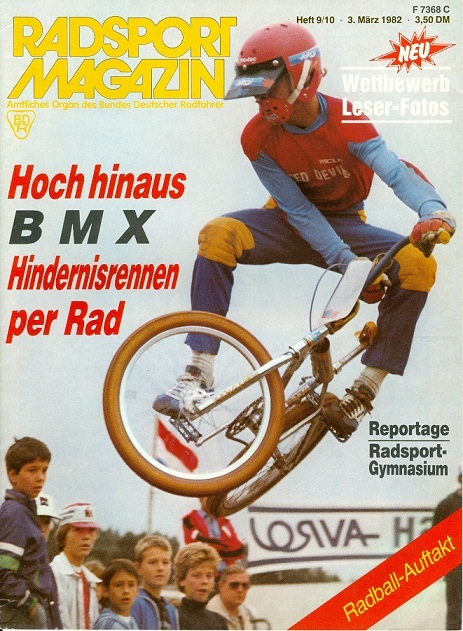 BMX Newspapers ánd Magazine world-wide from the early days, which made a difference. 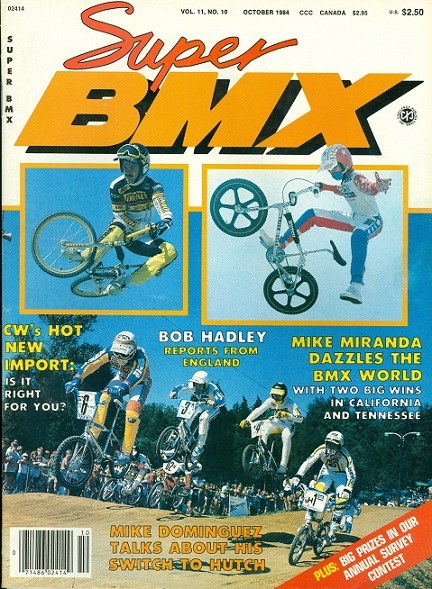 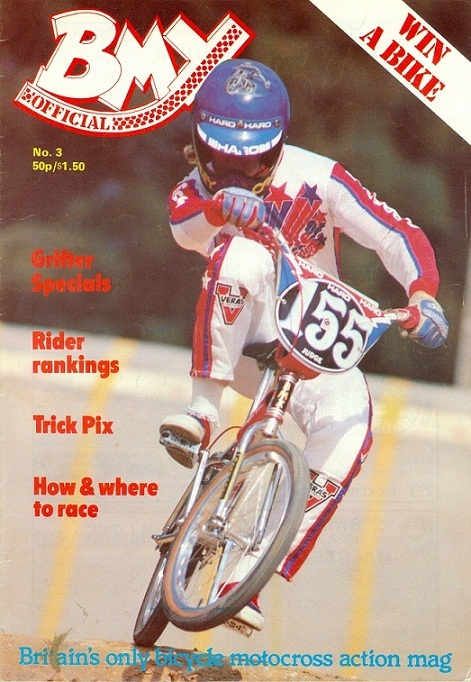 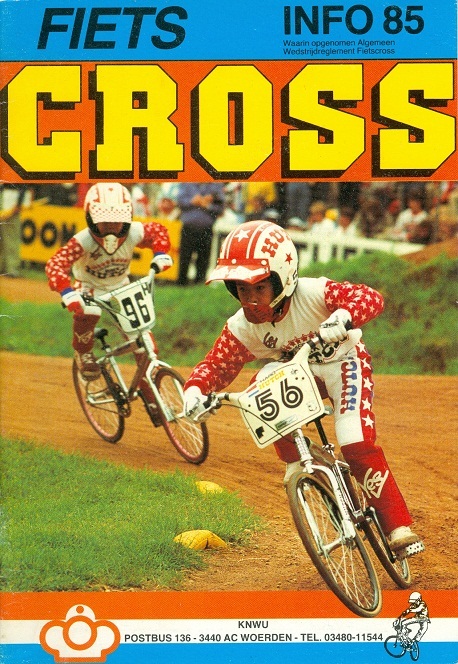 Ofcourse we will start with BMX magazines and papers from the USA, the country were BMX / Bicycle Moto-Cross as we know it, originated. 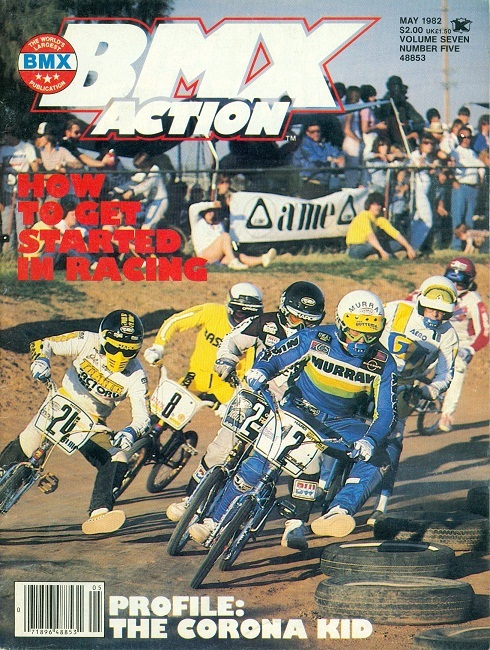 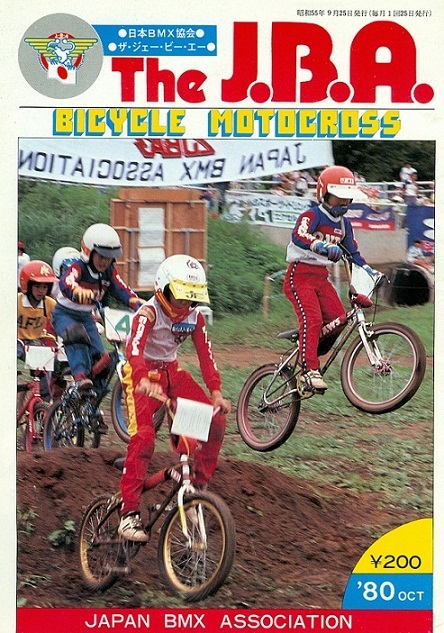 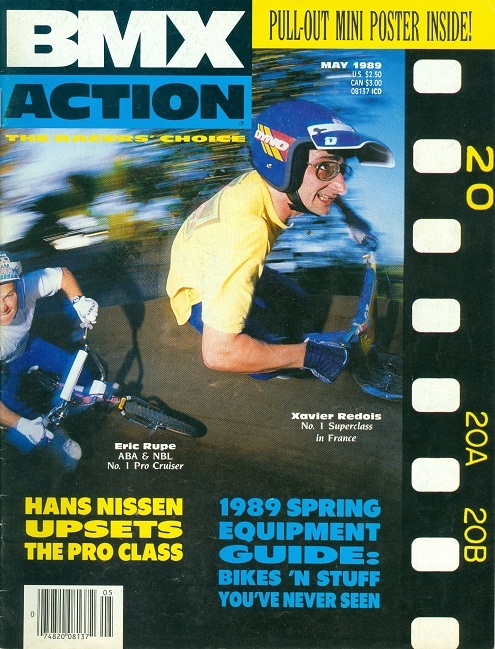 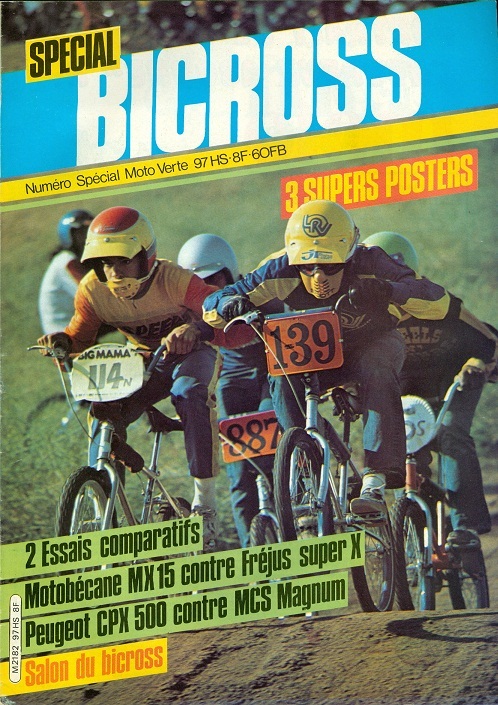 Bicycle Motocross Action was one of the first magazines I got a subscription on. 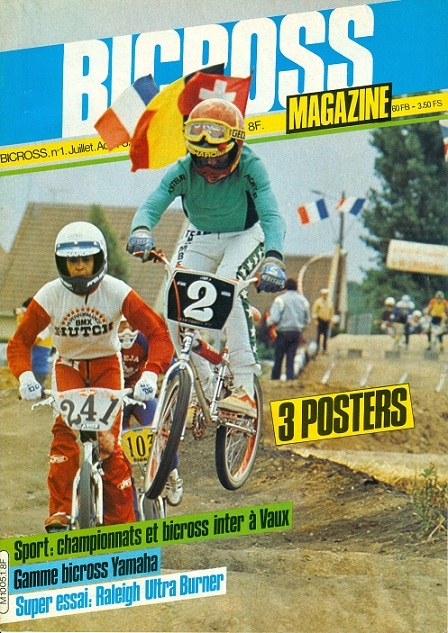 This magazine started in 1976 and Bob Osborn was thé man behind this mag. 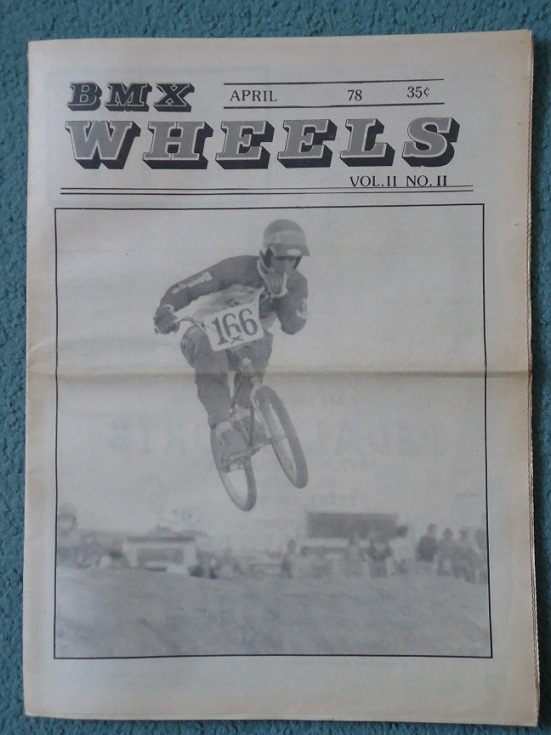 Bob acted as Publisher/Editor, Windy was his Staff Photograher and Scot Breitahupt Associate Editor. 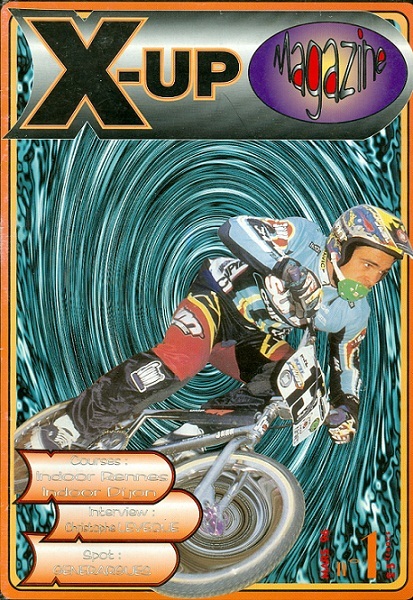 Bob Haro got involved as Staff Artist. 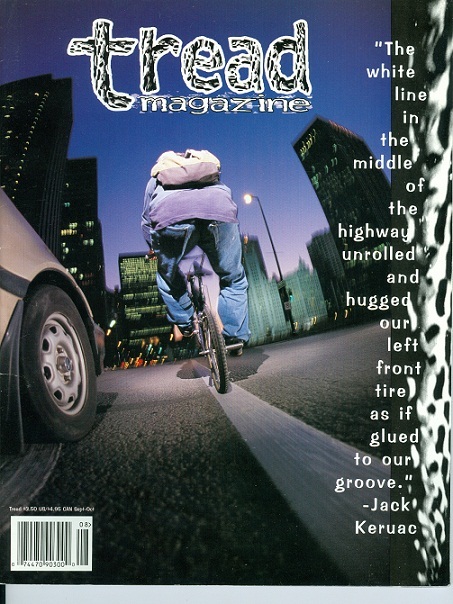 A unique magazine wiht good stories and fantastic pictures. 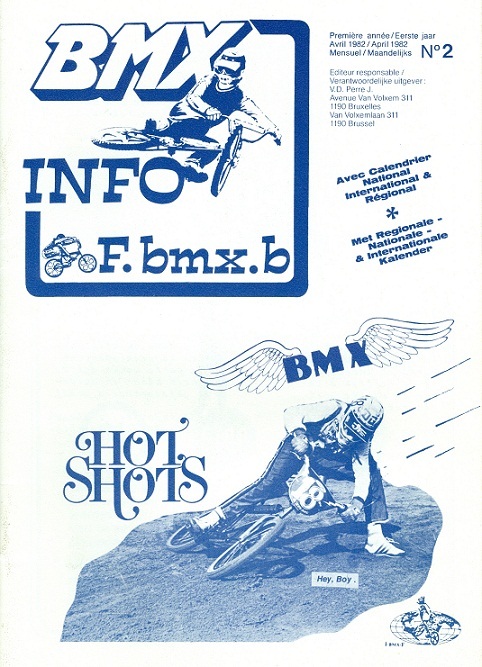 Down below you can see how over time, the magazine changed, at first their logo from Bicycle Motocross Action into BMX Action and later on into GO, the rider's manual. 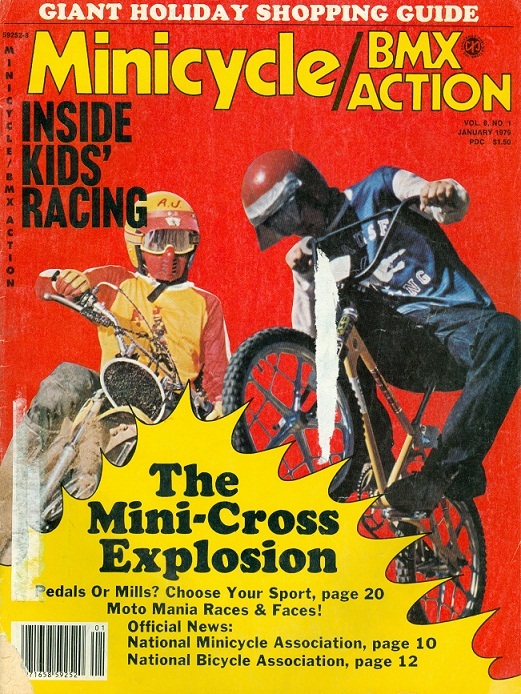 At the time their saying was: BICYCLE MOTOCROSS ACTION = EQUIPMENT. 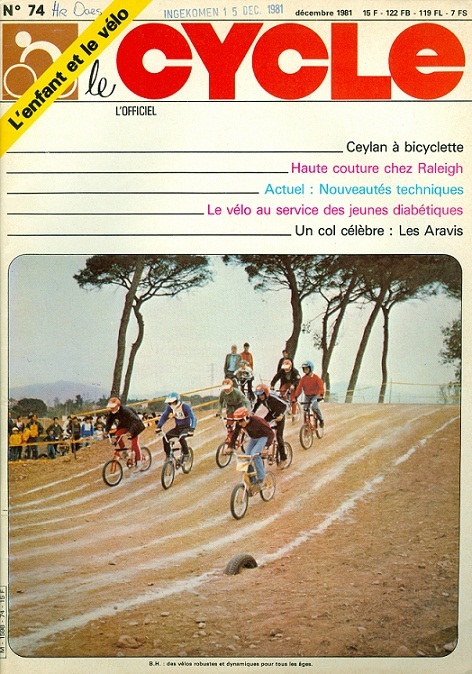 And that it was. 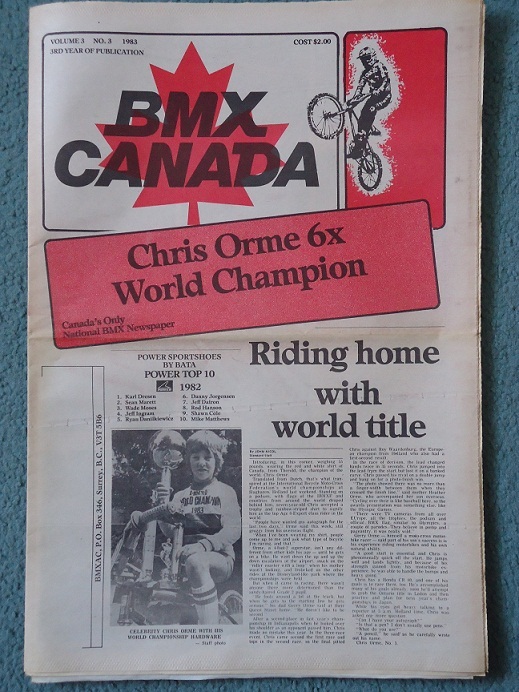 During time Bob Osborn became Publisher only and Craig "Gork" Barrette started as Editor. 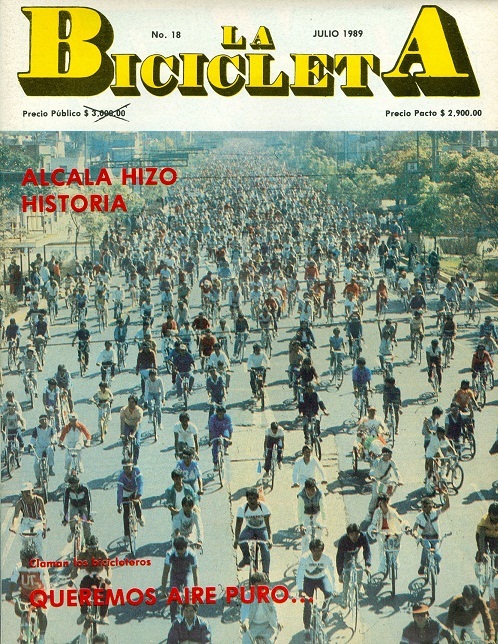 The Staff in all departments grew from about 11 people towards about 18 people. 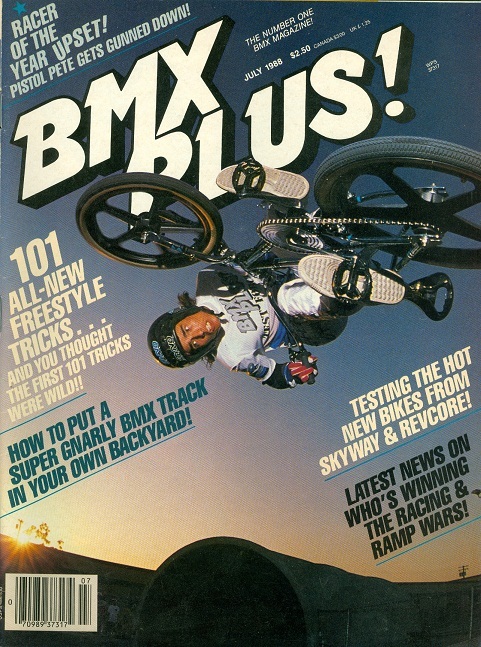 Around ending 80's Bob Osborn was Publisher and President of the company, Craig "Gork" Barette was now acting as Editor in Chief and Bob Haro was no longer involved as Stafff member, Chris "Mad Dog" Moeller became Editor Test Consultant. 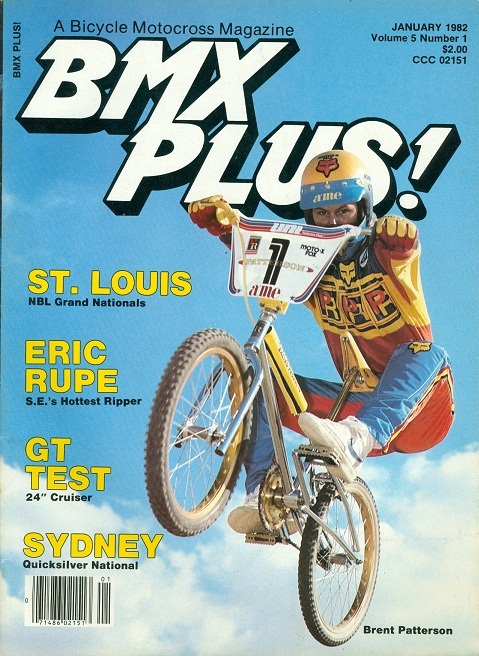 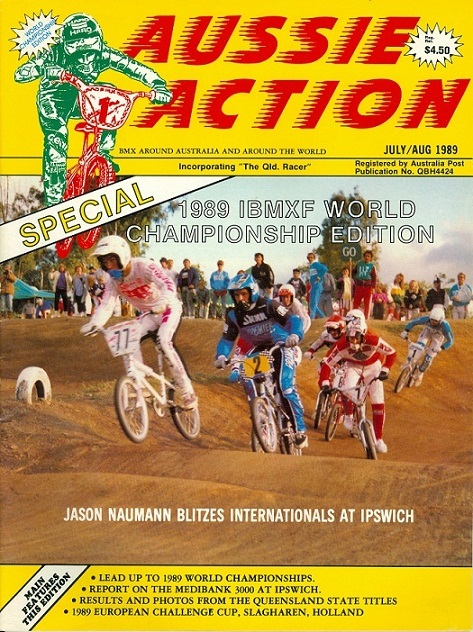 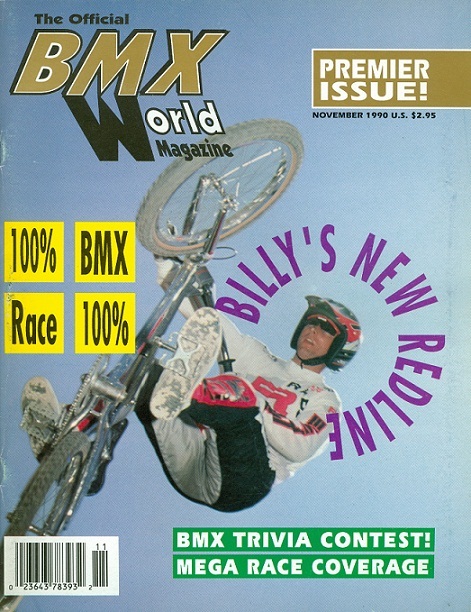 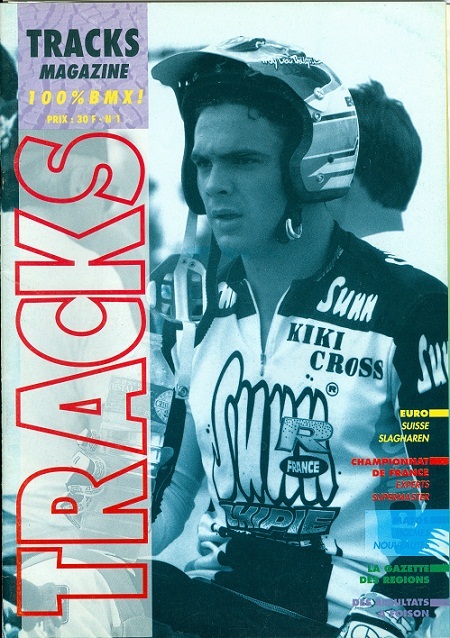 BMX PLUS was another very important BMX magazine for the promotion and development of the sport as well as business. 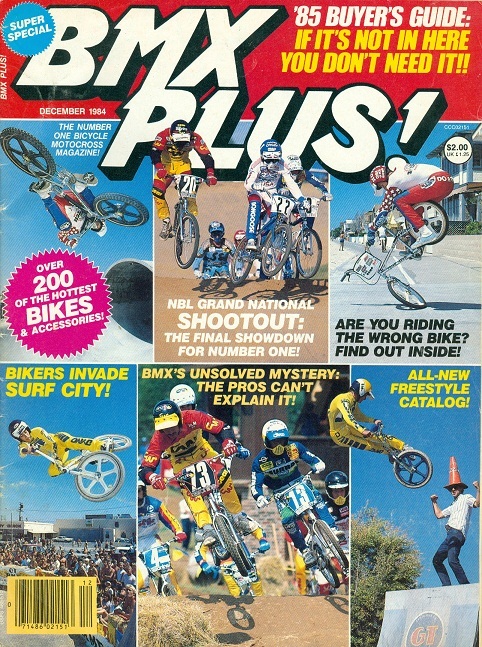 My first subscription is from 1979, but as far as I know BMX Plus did see the day of light somewere ending 1977 or early 1978. 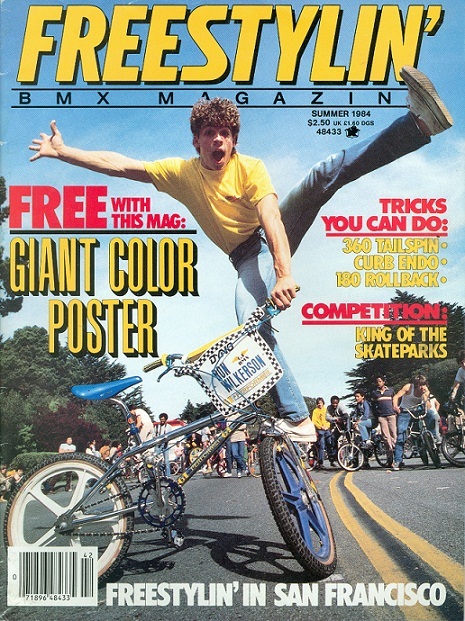 Jim Stevens the man behind this mag. 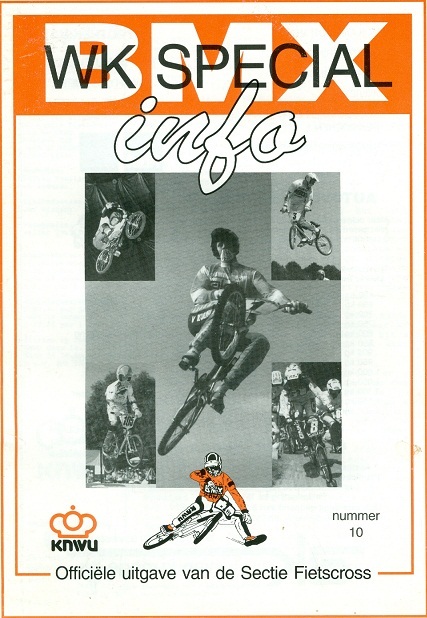 and acting as Publisher. 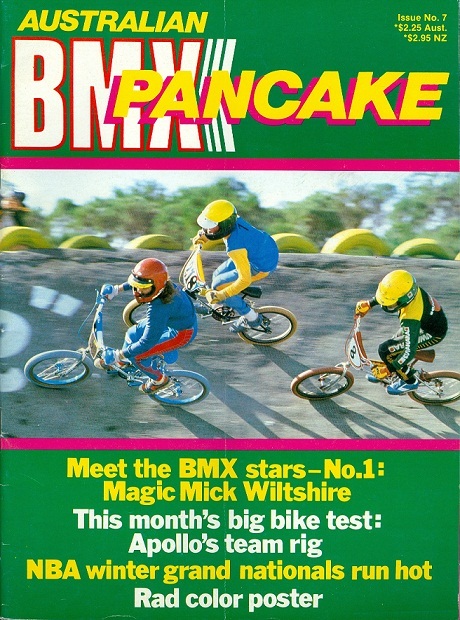 Mike Aquirre was Assisting Publisher and Advertising Director, well know Charlie Litsky (r.i.p.) 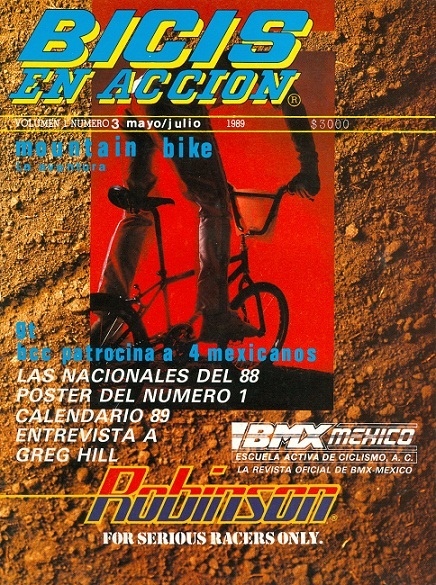 acted as Editor of the magazine. 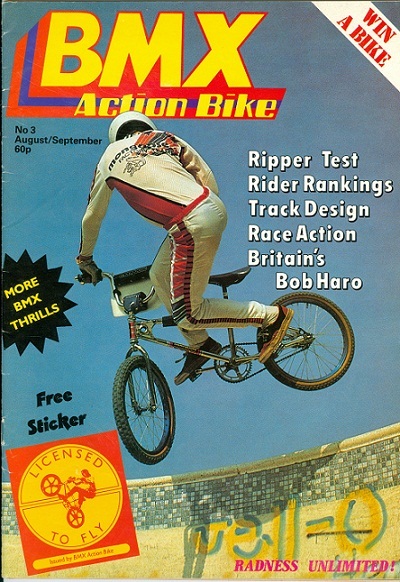 Some of the other around 21 people working for this magazine were Mark Pippin and Bob Hadley. 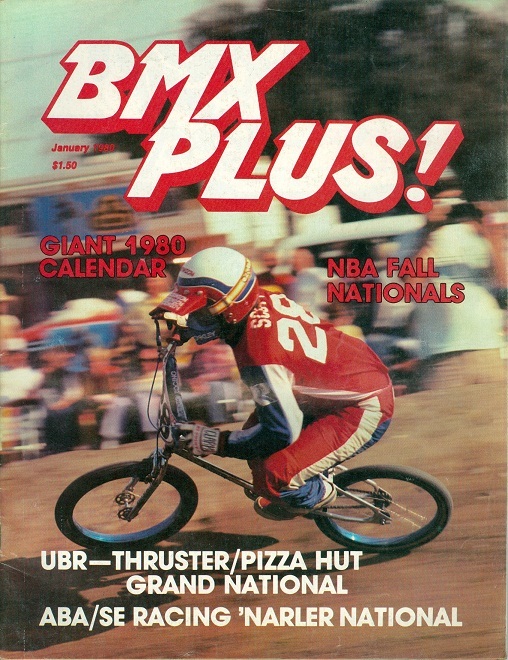 In 1980 the Staff of BMX PLUS expended. 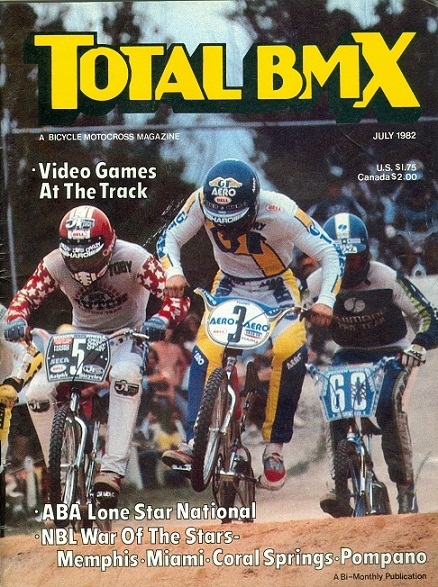 Jim Stevens remained Publisher and Mike Aguirre the Publisher Advertising Director, John Ker came in as Photo Prodcution man and Bob Hadley as Editor at Large. 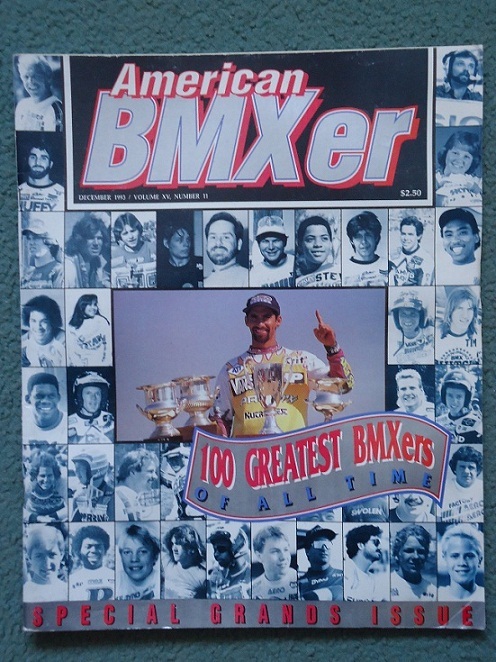 Other Staffmembers were Mark Pippin, Ernie Alexander, George Esser, Russ Okawa, Merle Mennenga and Charlie Litsky. 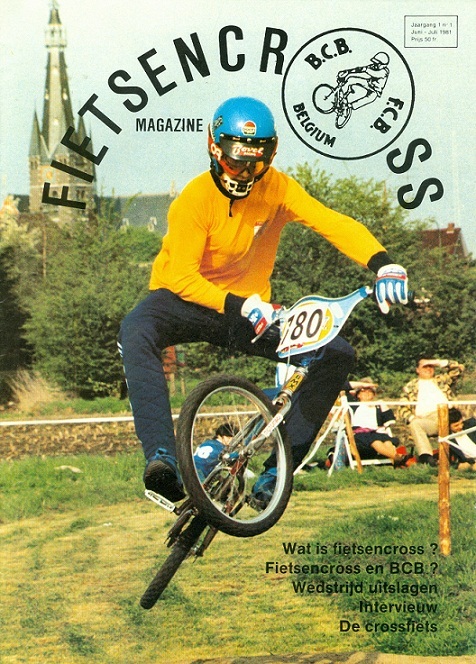 As European Editor, Gerrit Does was added to the Staff. 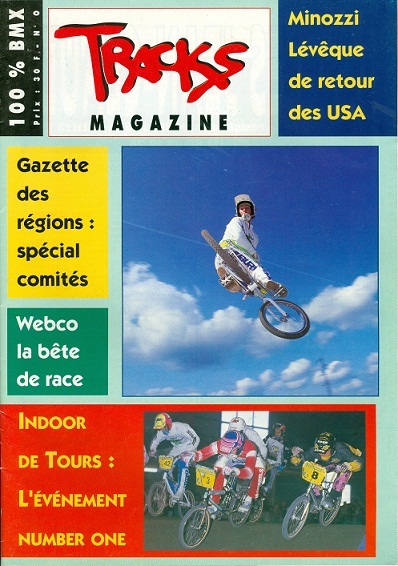 At the time PLUS Publications Inc. was lead by Jim Stevens as President. 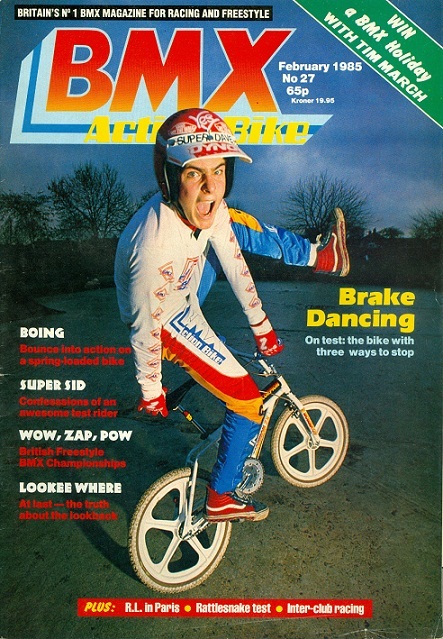 Later on in 1984 John Ker became Editor. 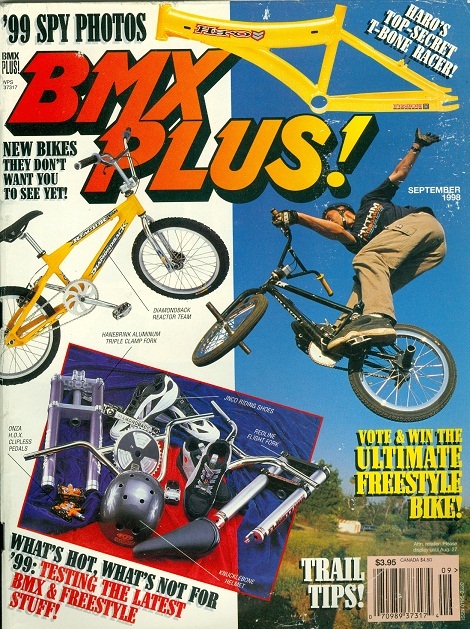 Jim Stevens was no longer involved in BMX PLUS. 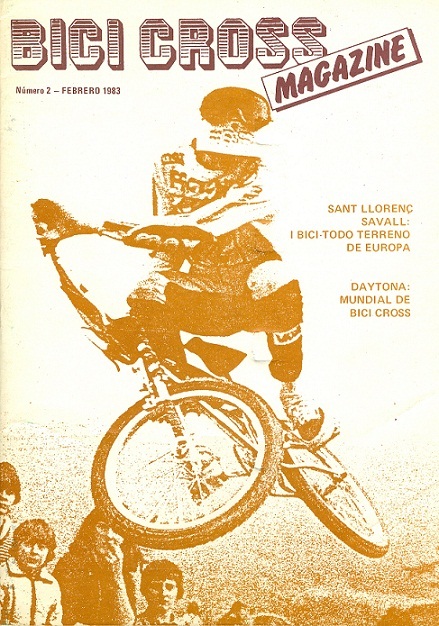 Besides myself (Gerrit Does) another European Contributor was appointed, Don Smith from England. 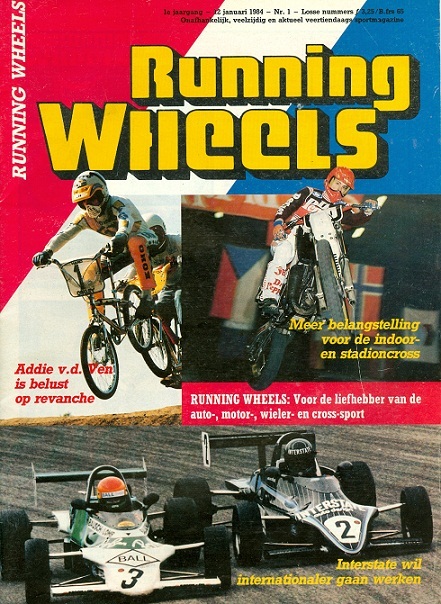 President and Publisher now was Roland Hinz and William R. Golden as Consultant and Founder. 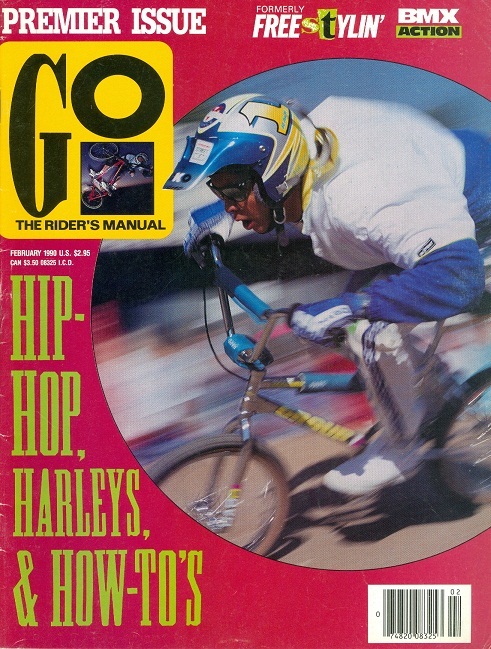 In 1998 the situation was as follows: Mike Daily now was the Editor, John Ker the Contributing Photographer, Dennis West did Cover Design, Scott Wallenburg acted as Hi-Torque Ad Director and the magazine now was under (Daisy) Hi-Torque Publications Co. (already since 1984) with President and Publisher Roland Hinz. 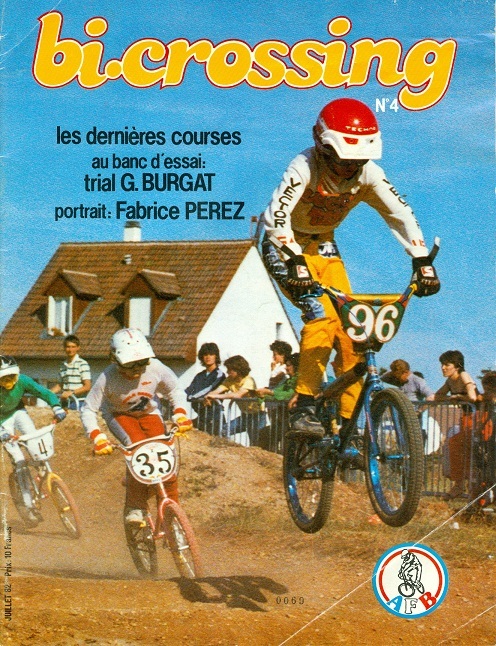 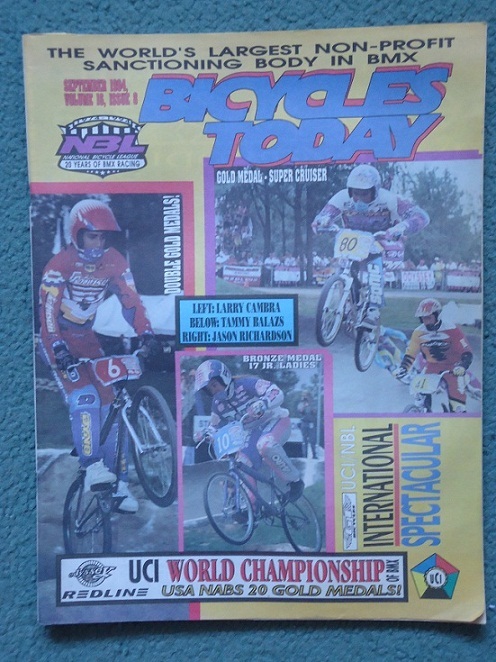 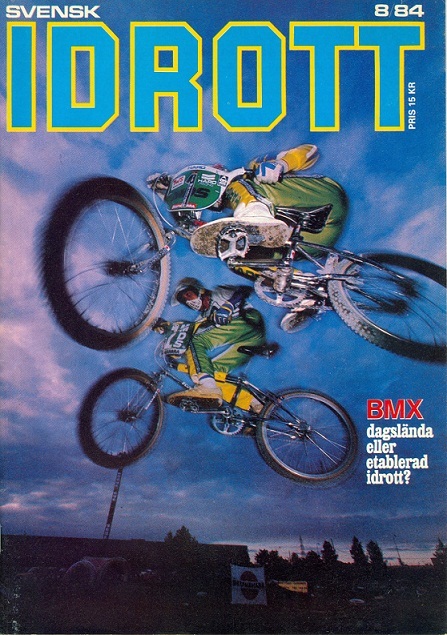 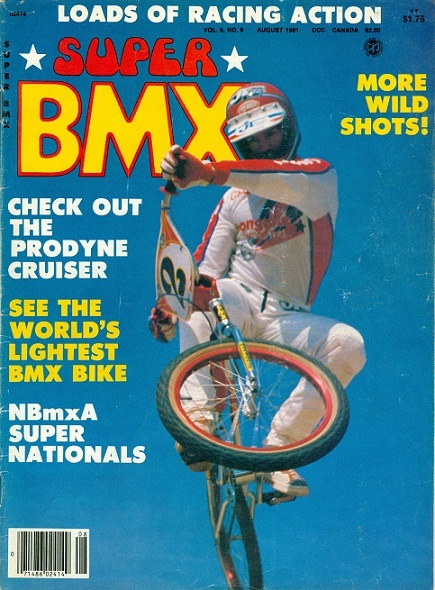 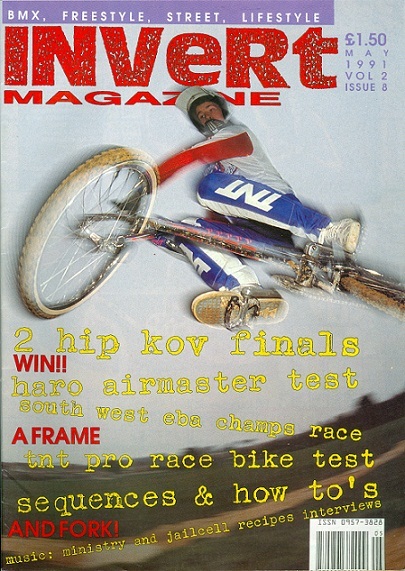 BOTH ABOVE MENTIONED MAGAZINES HAVE BEEN INTSTRUMENTAL PROMOTING BMX, NOT ONLY IN THE USA, BUT ALSO WORLD WIDE FROM THE BEGINNING OF BICYCLE MOTO-CROSS AS WE KNOW IT TODAY. 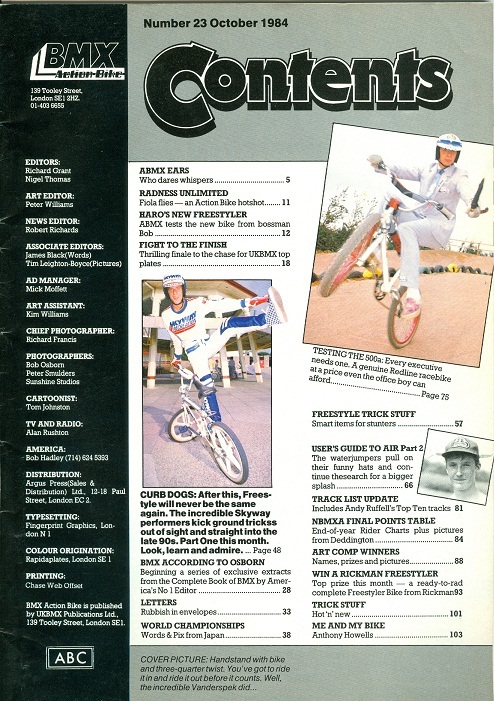 Here some more magazine on BMX from the USA. 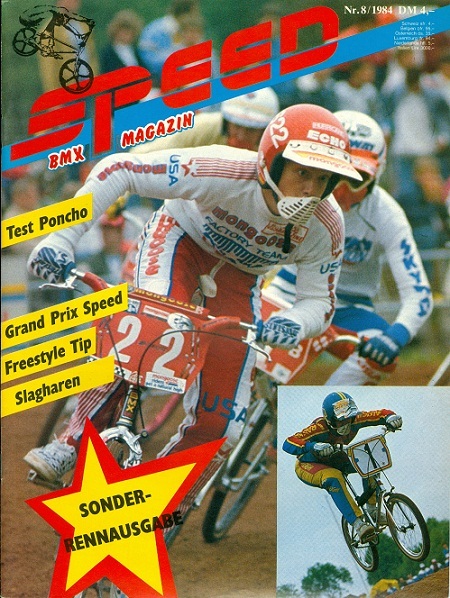 You can also see how for instance "Super BMX" develops, changing their front page and such. 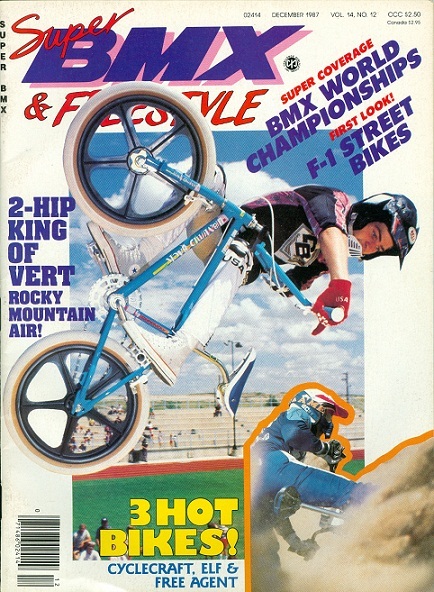 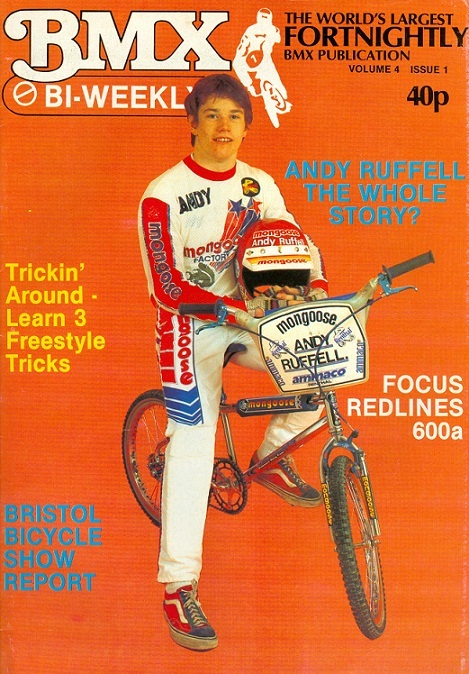 You can also notice that during trhe 2nd half of 1980, BMX Freestyle is getting more and more popular, also in those magazines. 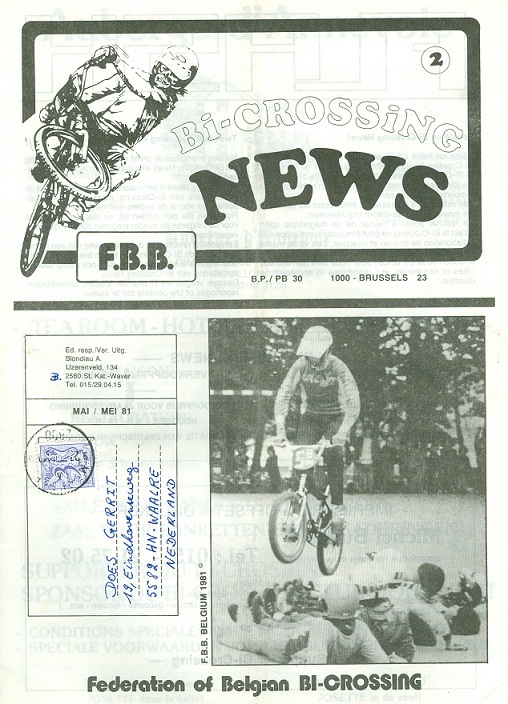 From the beginning, besides BMX magazines, also BMX Newspapers were issued. 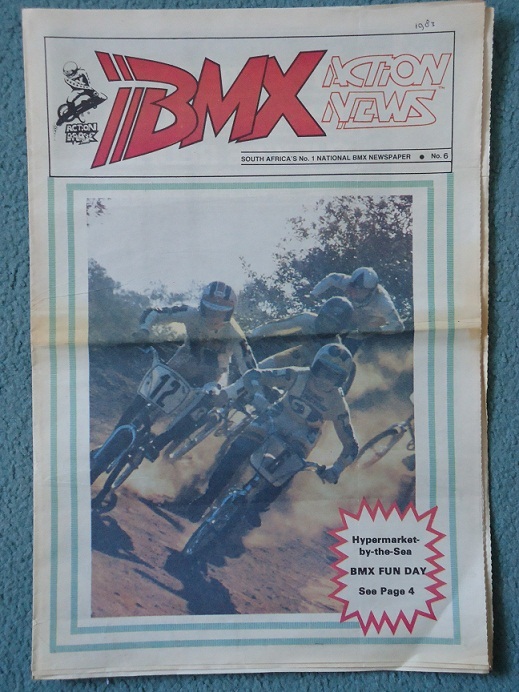 Mainly the National BMX organisations in the USA started out with Newspapers, later on also some "independent" publishers joined them. 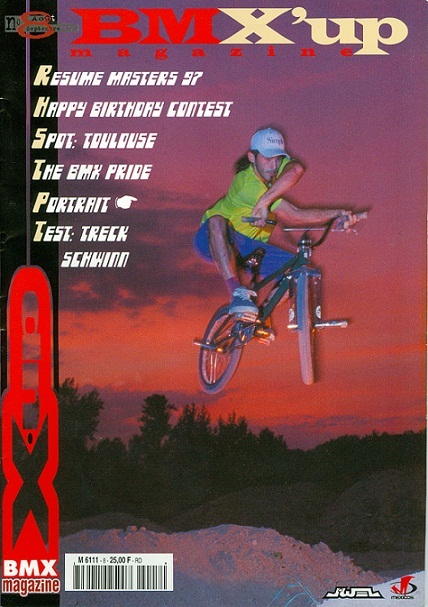 Here an oversight during the years. 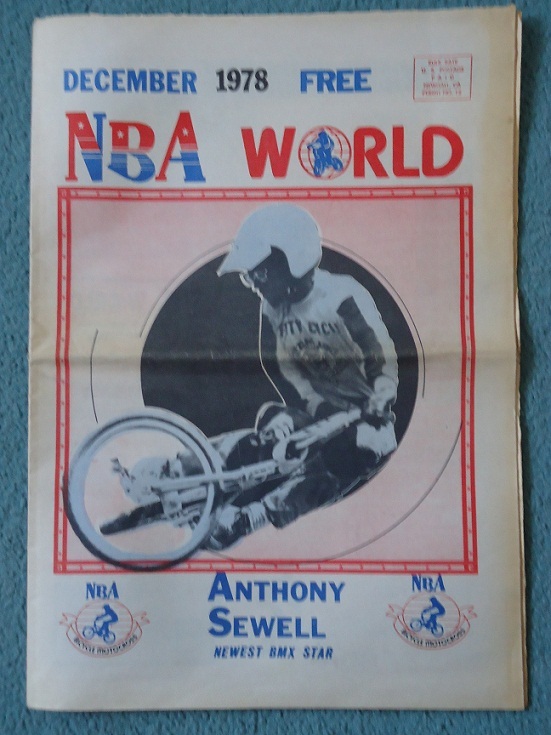 The NBA (National Bicycle Association by Ernie Alexander - California) issued this newspaper for their members, NBA World. 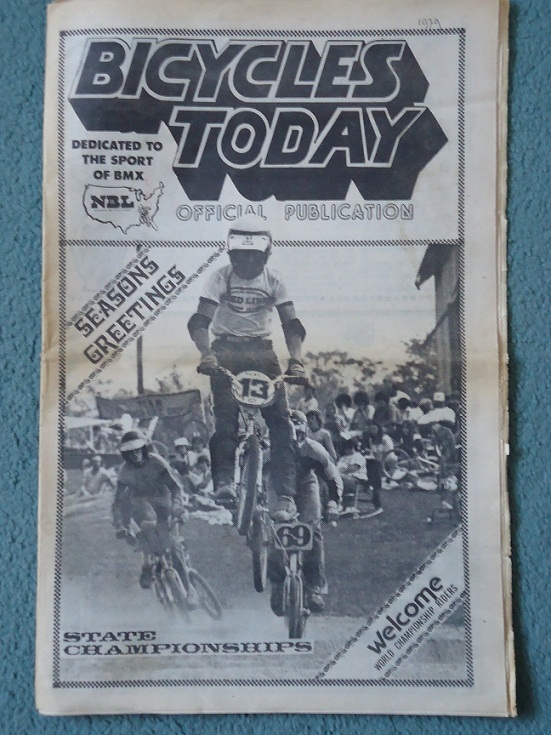 The NBL (National Bicycle Association by George Esser - Florida) also started out with e Newspaper for their members: Bicycles Today. 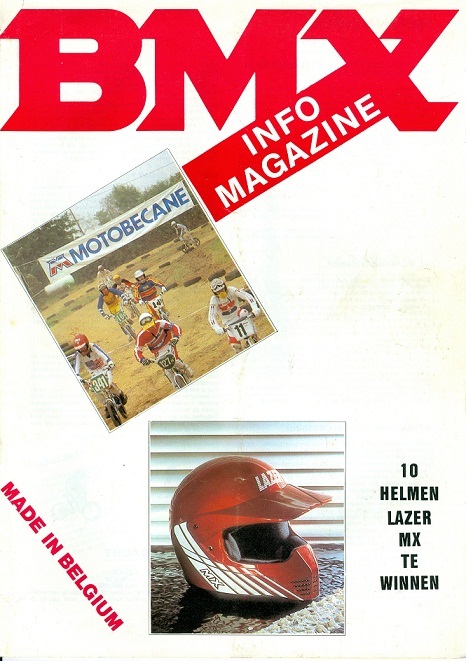 Later they changed to a magazine format. 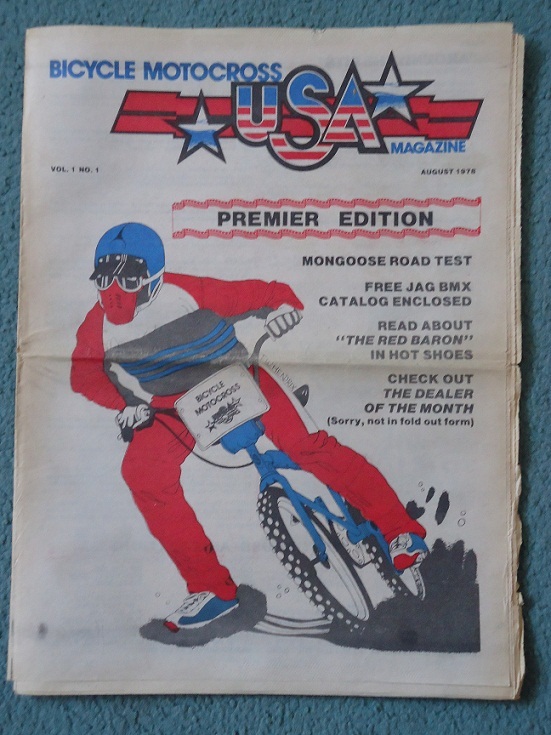 Also the ABA (American Bicycle Association by President Clayton John - Arizona) issued a newspaper for their members. 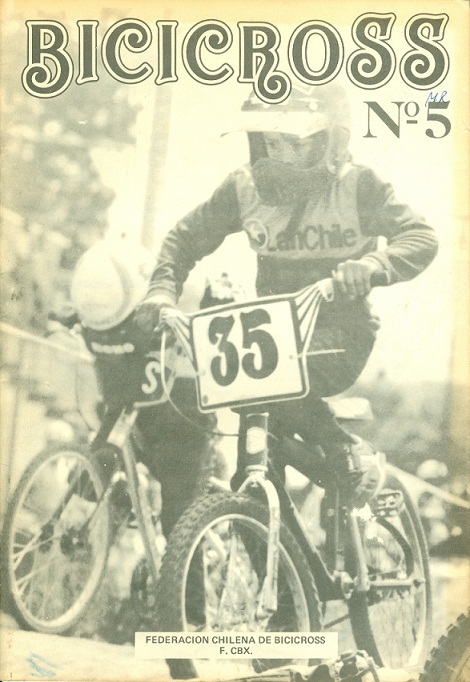 Seen here the issue in which nthey celebrated the 15th anniversary of the ABA (1977-1992). 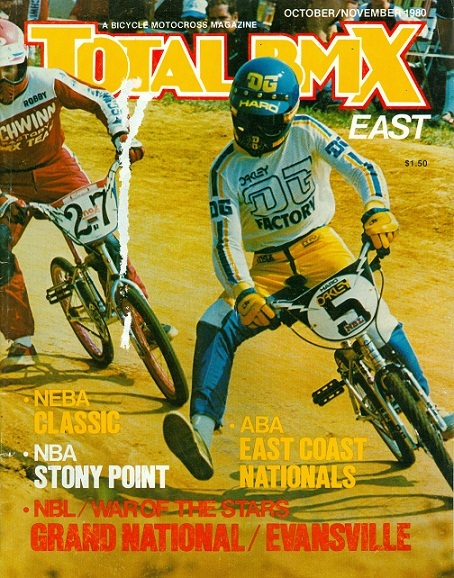 As we know now, the NBL seized to exist ending 2011 and actualy merged into the ABA. 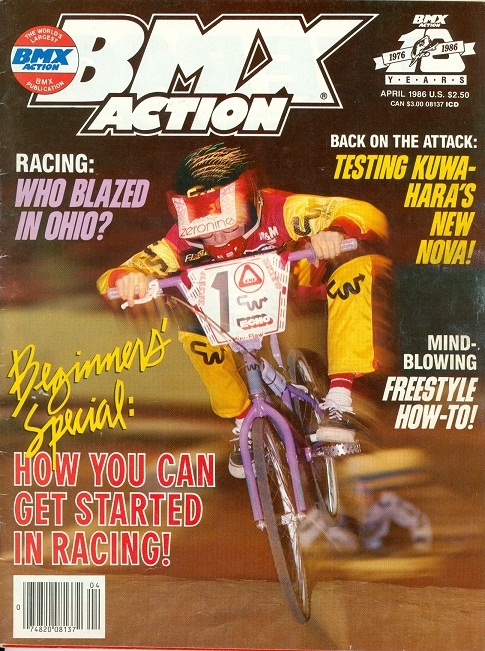 In 2012 the ABA decided to adopt a new name for the newly formed organization: USA BMX saw the day of light in 2012. 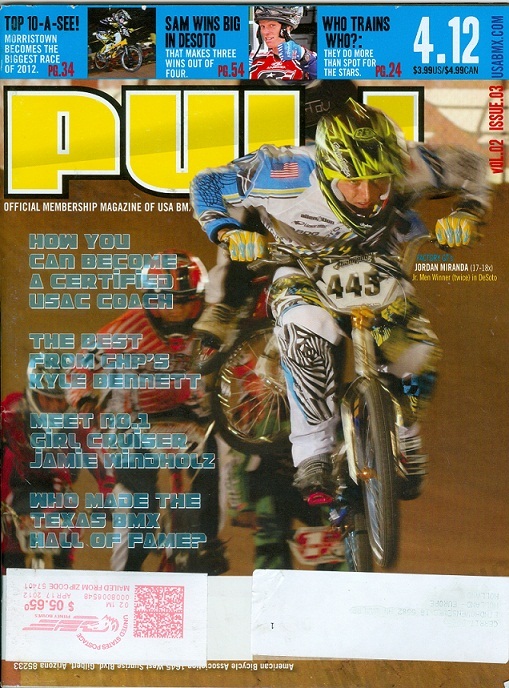 Both NBL and ABA magazine stopped and a new USA BMX organization magazine was introduced called PULL - OFFICIAL MEMBERSHIP MAGAZINE of USA BMX. 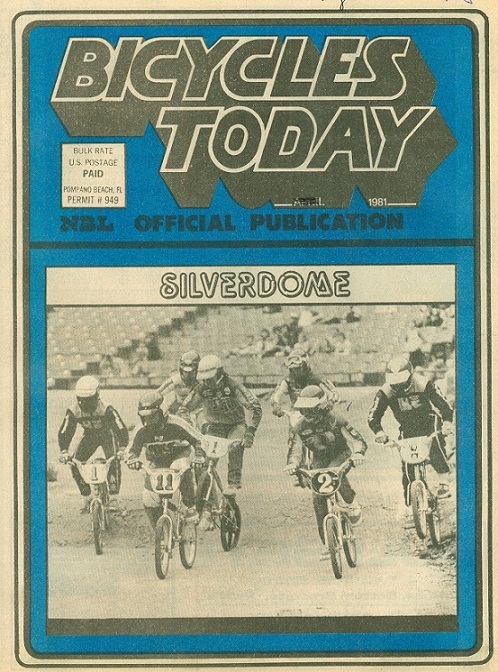 As you can see on the following pictures, the NBL changed the name of their newspaper from Bicycles Today in BMX Today. 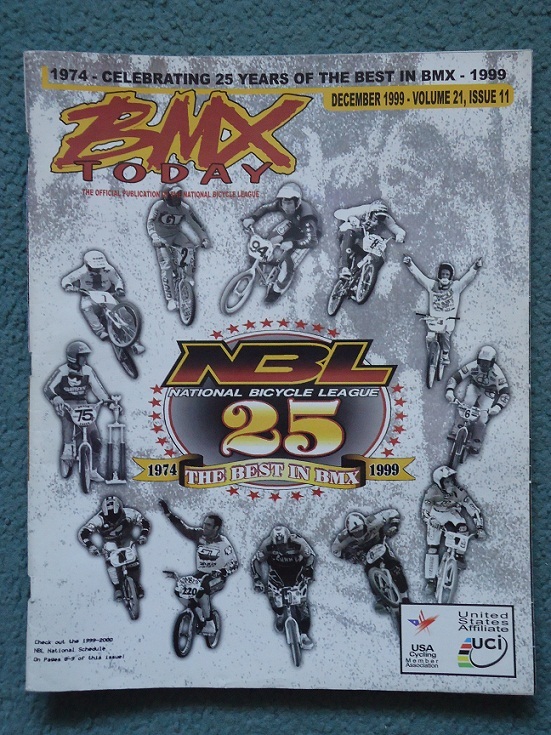 In the December 1999 (number 3 picture) issue the NBL celebrated their 25th anniversary (1974 - 1999) and it was during this years National Congress that founder of the NBL, George E. Esser was the first person to be inducted in the newly started NBL Hall of Fame. 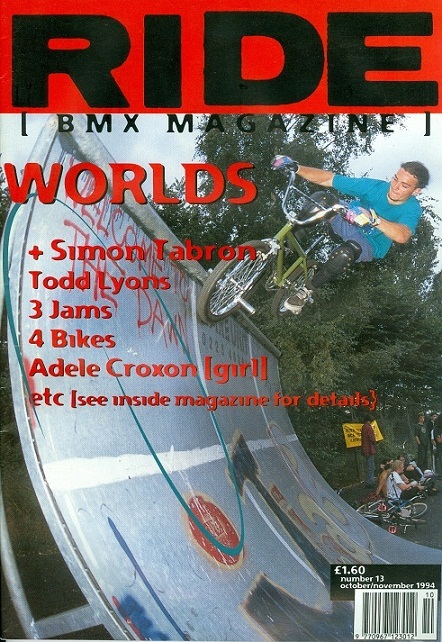 Continue with BMX MAGAZINES world wide. 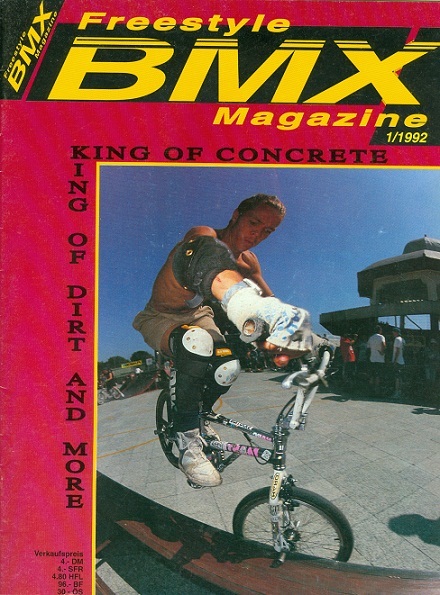 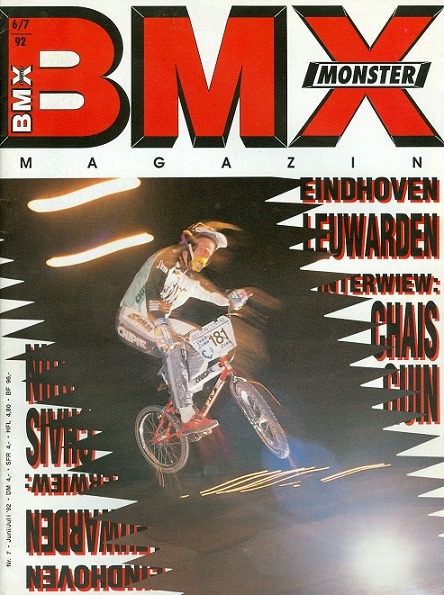 Last but not least we will go over BMX Magazines world wide from the eaarly days of BMX. 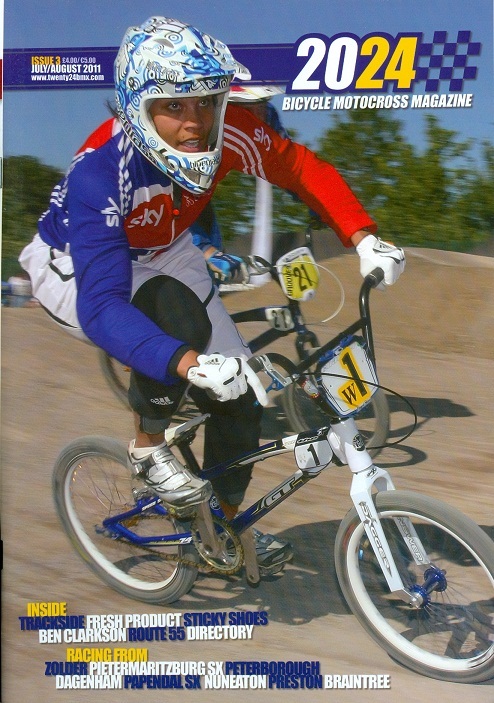 Japan BMX Association, run by mr. Tadashi Inoue, was very active in the early dyas of BMX. 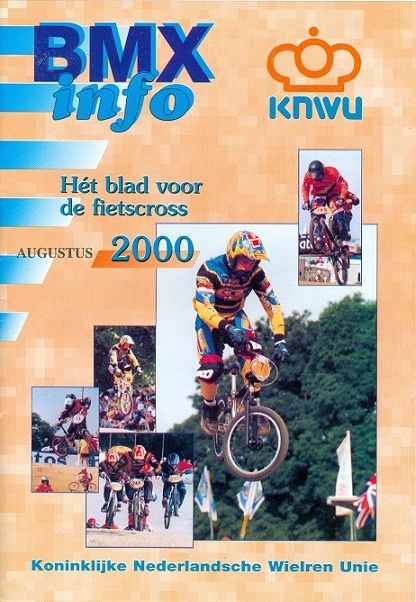 In Belgium two (2) so-called nationla BMX organisations were active, the B.C.B. 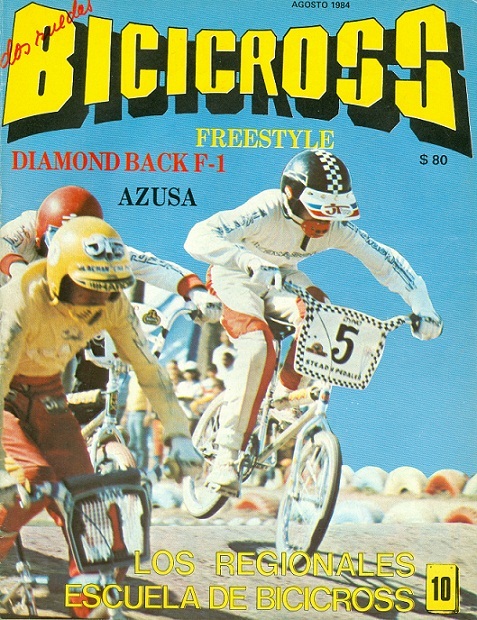 (mr. Albert Dekker) and the F.B.B. 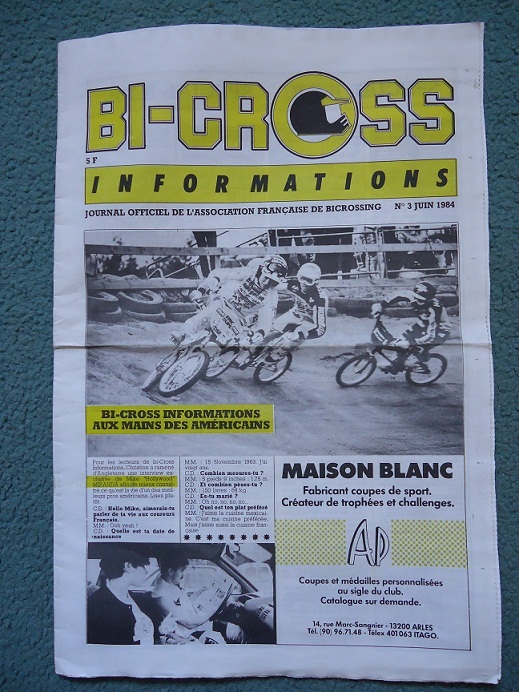 (mr. Armand Blondiau). 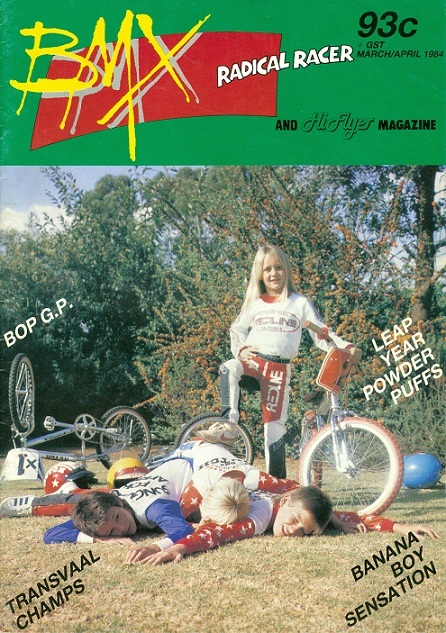 Both groups had their own magazine as you can see down here. 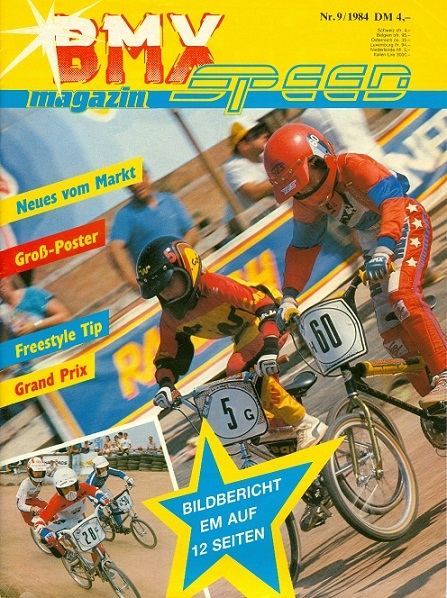 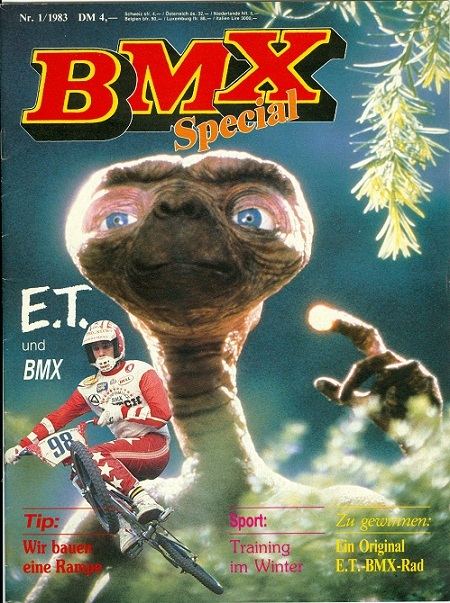 Withwhile mentioning is ofcourse the German BMX Special Magazine with special attention for the Spielberg film E.T. 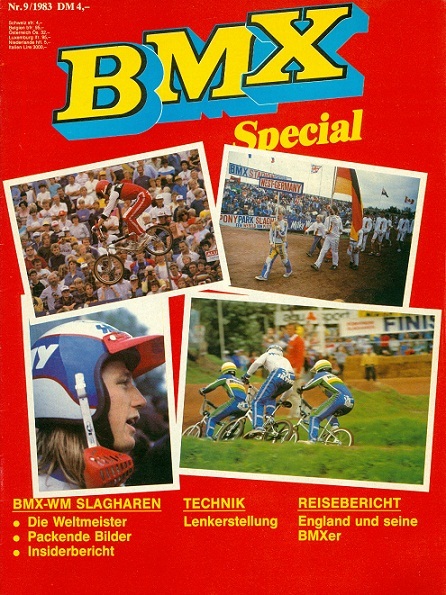 in which BMX bikes played an important role, which was very important for the promotion of BMX and BMX bikes. 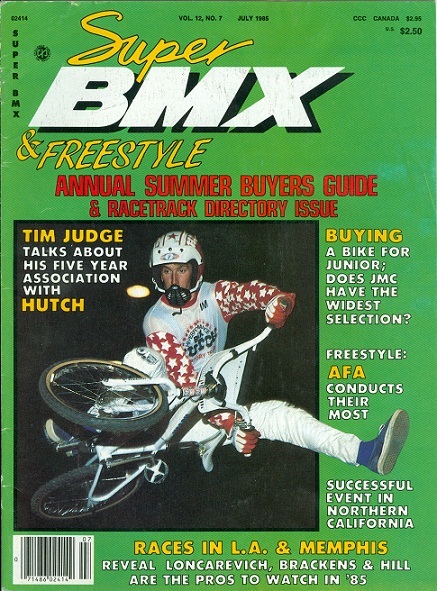 Allthough the South African BMX Federation wasn't yet a member of the I.BMX.F. 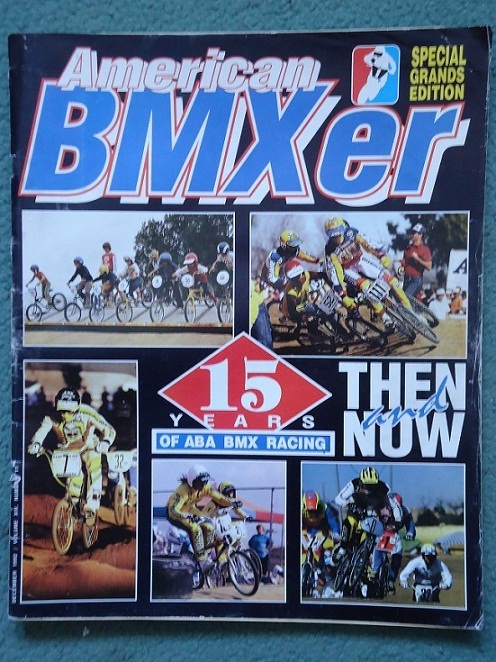 at the time, due to the "Apartheid" policy, BMX was growing in South Africa and there even was a National magazine reporting on races and stuff. 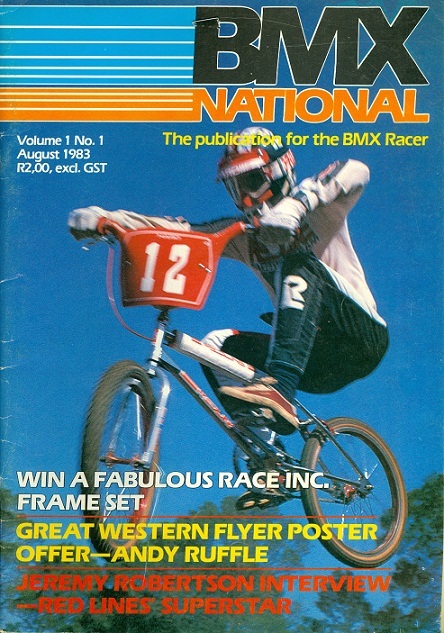 One of the latest BMX magazines and I mean BMX racing, not freestyle, is 2024 Bicycle Motocross Magazine from England. 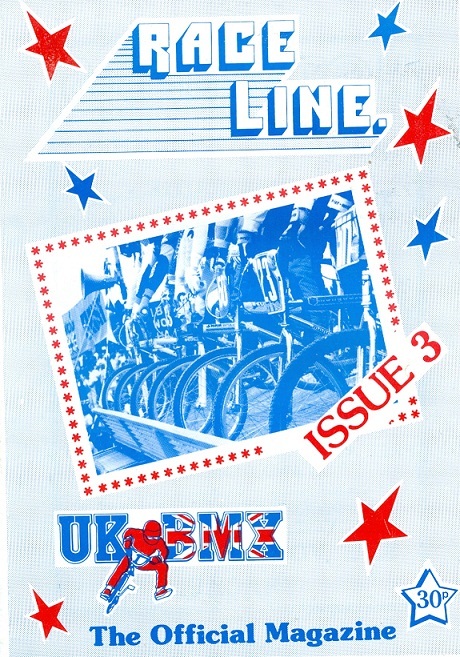 Johnathan Hearn and his staff is doing a great job. 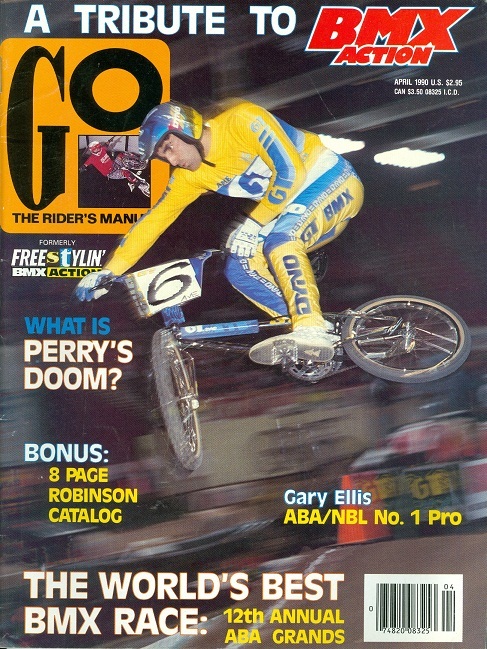 Besides the good articles, the pictures in this magazine are just great. 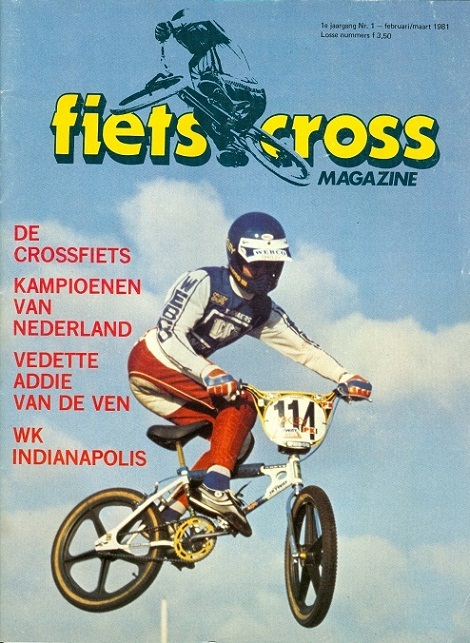 Personaly this 24 Bicycle Motocross Magazine is my favorite (up and till today for sure, May 2012). 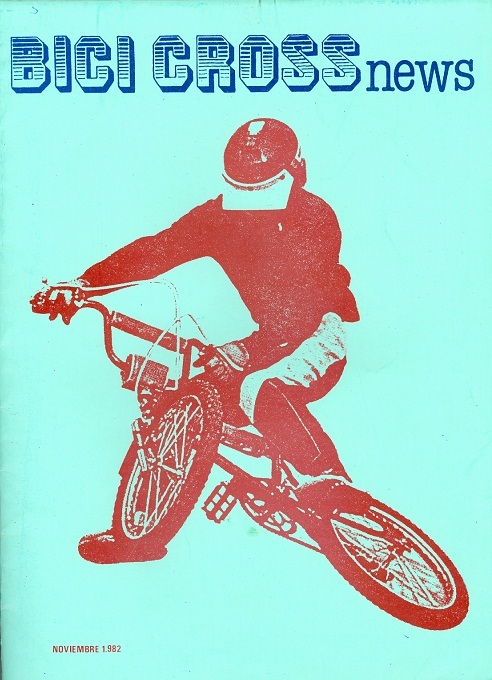 Let's see if anyone can beat this project. 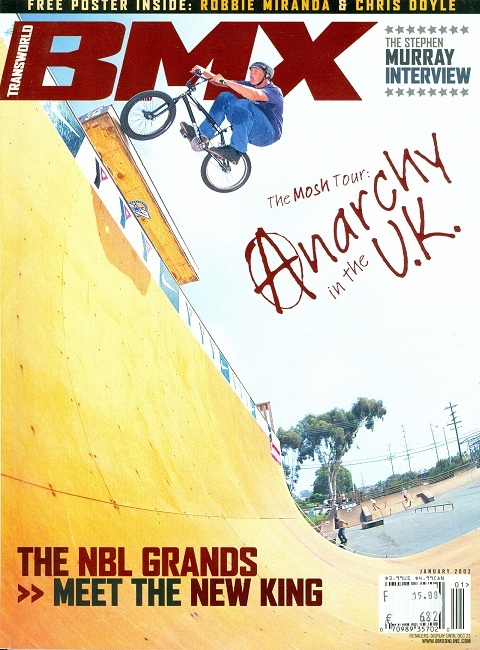 2012 England, 2024 BMX Magazine is top.